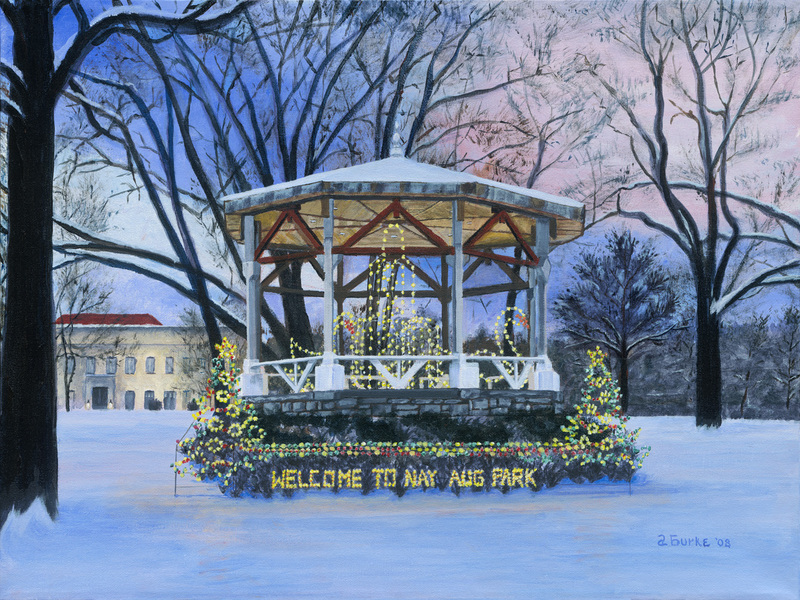 Scranton’s Nay Aug Park takes on a jewel-like magic for the holiday season. 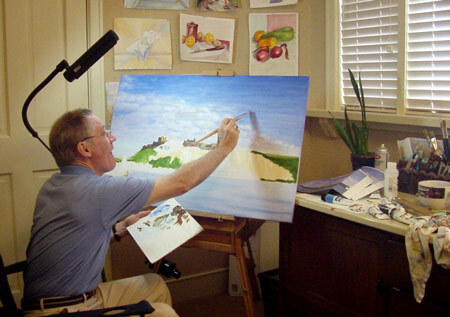 Every year hundreds of displays with thousands of lights sparkle along the wood-lined park road. 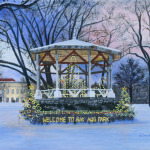 Featured in this 2008 painting is a snow covered gazebo with the Everhart Museum in the background.